There is an upcoming deadline regarding the Digital Millennium Copyright Act (DMCA) that many ISPs are just now becoming aware of. I have recently been forwarded notices sent to ISPs from associations letting them know about this new requirement, and the ISPs are asking me if it applies to them. Yes it does. First, some background. The DMCA was signed into law in 1998 to help protect the rights of copyright holders on the Internet. The usual infringement we see is when an internet subscriber illegally downloads copyrighted material like a movie, TV show or song. If a rights holder finds out about this, they will send the ISP the IP address, notifying them that the person using that IP illegally downloaded copyrighted material. The ISP is then supposed to immediately remove the content if it happens to be hosted on servers they control; or, as is more often the case, they are to notify the customer the content was illegally downloaded and needs to be removed from any subscriber devices. They also must take steps to address and prevent multiple repeat offenses including terminating the account if necessary. There is “safe harbor” protection granted under the DMCA, covered in Title II of the Act, which limits liability for ISPs as long as they follow a few requirements. One of those requirements is that the ISP name a “Designated Agent” who is to receive notifications of claimed infringement. And, that Designated Agent information needs to be posted on the Copyright.gov website. When the DMCA was first implemented, this was done through paper forms sent to the Copyright office. To make it easier for copyright holders to have access to those forms, they were scanned and placed online on the copyright.gov website. In December 2016, the Copyright office introduced an online registration system to replace the old paper-based system and directory. They said at that time that any Designated Agent filings previously done via the old paper system would be invalid after December 31, 2017. This means if an ISP had already filed a Designated Agent by sending in a form, they would need to redo that process in the new on-line system by December 31st of this year, which is just a few days away. You can see see if you have already have a Designated Agent by checking the old paper-based list here and checking the new on-line system here. If you have an up-to-date listing in the old database but are not in the new one, or you don't have a Designated Agent at all, you can begin the process of setting up a Designated Agent in the new system by registering here and then completing the required information. There is a $6 fee, and must be renewed after 3 years. Yes! This is one of the main requirements if you want to have safe harbor status under the DMCA. There can be hefty fines for copyright infringement, and an ISP can be held liable if they do not follow the limited liability provisions in the Act. In addition to registering a Designated Agent with copyright.gov, you also need to make the contact information of your Designated Agent publicly available on your wesbite for rights holders who want to report incidents of copyright infringement to you. 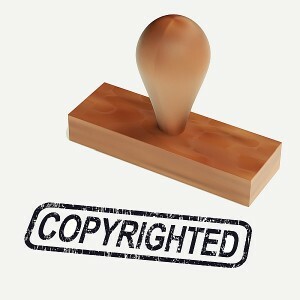 You also must also create and publish a DMCA policy (such as on your website or in your subscriber agreement) that includes what what steps are taken in the case of repeat infringers, and you then must follow those procedures by properly responding to legitimate DMCA copyright notifications. This means notifying customers of infringing material, requiring that they remove it from all devices, and terminating the accounts of repeat infringers. Cox Communications found out what happens when you don’t comply with the requirements for safe harbor status. In 2016 BMG was awarded $25 million dollars in a jury trial when it was determined that Cox was liable for “contributory infringement” by failing to terminate accounts of repeat infringers. Evidence presented in the case showed that they allowed and even encouraged the reinstatement of accounts after they were terminated, and that this was done willfully to circumvent the DMCA. Cox was ordered to pay BMG another 8 million in legal fees earlier this year. Let me end by saying I am not a lawyer, so ISPs should read up on the act on their own and seek out the advice of an attorney if they have any questions about compliance. Rick is ZCorum's Vice President of Marketing. 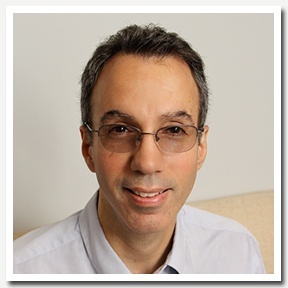 He has over 30 years experience in sales, marketing and management. Hired in 1995 to establish the sales department for a fledgling Internet Service Provider that later became ZCorum, he is now a key member of the executive team, overseeing the company’s marketing efforts.